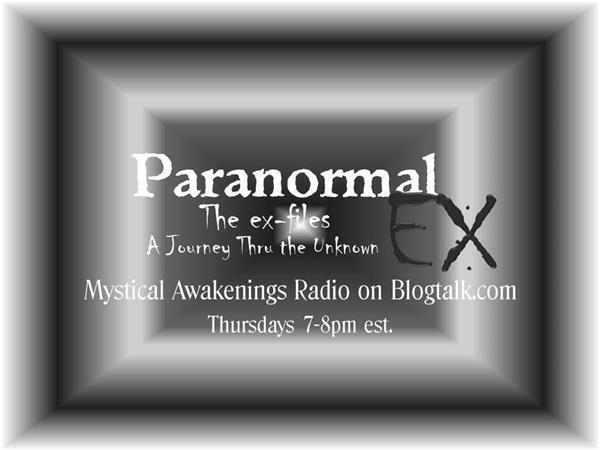 The Paranormal Ex's Myst and Daniel are excited to introduce their listeners to Tim Woolworth of ITC Voices. As one of the world’s foremost ghost box specialists, Tim has been featured using his ghost boxes on NPR, the Detroit NBC News, numerous radio broadcasts and the television shows CNY Spirits, Spotlight and NBC’s 1st Look. In addition to media appearances, Tim actively gives public ghost box talks and sessions to educate people on a regular basis. Tim writes about all things ghost box on his ITC Voices website where has authored most of the theory on how ghost boxes work. He has also orchestrated international ghost box experiments to further our understanding of what ITC can accomplish. Tim and the Ex's met this spirng in Houghton Lake and are looking forward with chating with Tim about his many experiments, his ideas as to where the feild will be led, and as always laughing at the random off subject thoughts that will be sure to come up. Tune it at 7pm and Join in to the chat by logging in for the full exsperiance.